For many of us, taking off on holiday provides much-needed work/life balance. Yet having to keep up with either high rents or mortgage repayments means many of us cannot afford to go away without finding tenants to cover our expenses. This raises dilemmas: do you rent your place at “mates rates” to friends you know and trust, or aim to top up your holiday budget by subletting to strangers at a higher rate through a website like Airbnb, Wimdu, One Fine Stay, Be My Guest or Gay Homestays? There are also ethical considerations in an increasingly crowded and overcooked property market. 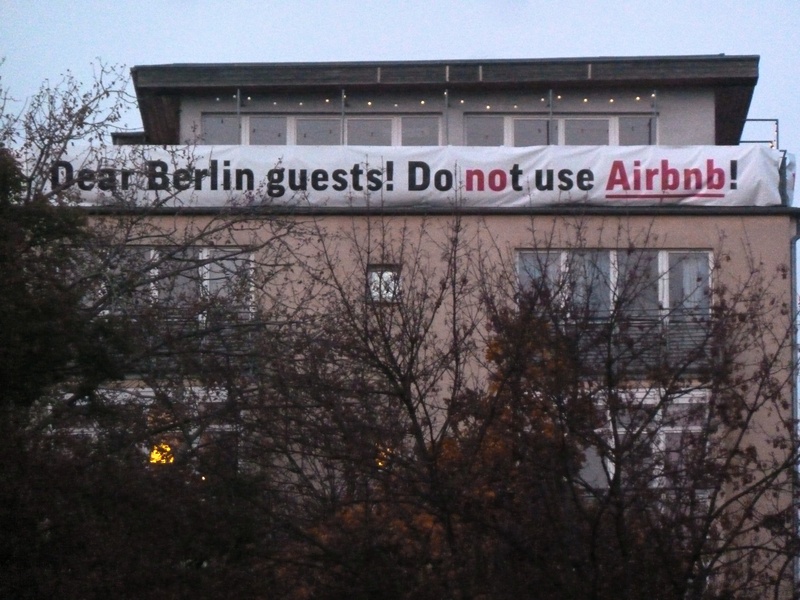 In many hipster tourism hotspots like Berlin and London, homeshare websites have been pointed to as a key factor in rising rents as well as enabling blatant tax dodging. In San Francisco, city legislators have moved to limit the number of days per calendar year people can legally sublet their apartments in order to limit the number of landlords profiting from the squeezed property market. As property owners or subletters, we can choose to add to the problem or become part of the solution. My experiences of subletting to strangers at a high price have been mixed. A few summers ago I travelled from Melbourne to northern New South Wales and rented an old convent in Mullumbimby from Airbnb while subletting my own St Kilda apartment. It seemed the perfect arrangement – the return on renting my St Kilda place was set to cover the costs of much of my summer getaway. Then at 9am on New Year’s Day, disaster struck. I’d been out all night at a rave when my mobile phone started ringing. I answered the phone in a comatose state and the thick German voice at the other end of the line sounded urgent. “Oh, hi!” I replied. It was not a call I had been expecting. When strangers are using your home, things can go wrong. This case illustrates the danger in letting your home out to complete strangers. Luckily for me I was able to get my mother to go to my place and arrange for a plumber to arrive on the scene later that morning. The temptation to extract a hefty price for your real estate while on holiday brings with it clear risks. If things should go wrong, the temporary tenants really have no responsibility to deal with problems. And although our German guests couldn’t fix the hot water leak, they did manage to fix our broken coffee machine. For Ruchira Talukdar, a 35-year-old environmental campaigner from Melbourne, the task of finding appropriate tenants has proven a mixed experience. “I left my job and went overseas this January, initially for three months, to visit family and friends in India. But as I settled more and more into life with my parents, I kept extending my stay,” Talukdar explains. Initially she tried posting ads via various housing pages on Facebook, before eventually finding a 20-year-old woman from Portland, Oregon to stay with her partner in the cosy Northcote flat. Instead they left the place in a dishevelled state, departing without cleaning the dishes or taking out the rubbish. “I couldn’t do anything more than wring my hands about it from far away,” she says. When Talukdar decided to stay overseas for another two months, she needed to find more tenants. “The next time I posted on the Facebook sites, I got no response at my original rent. It was only when I dropped $50 off the amount – two days’ worth of subsistence money for me when I am not feeling extravagant – that I got a response.” The woman who moved in proved to be an ideal tenant and left the apartment spotless. After lots of Skype interviews and nervous contemplation, Talukdar decided to put her apartment on Airbnb for the final month before her return. “The prospect of putting my tiny nook up for a daily price on a website to be compared with other beautifully decorated spaces overwhelmed and discomfited me. Like before, I have not exactly been flooded by requests since the listing went up yesterday, and I am somewhat anxiously waiting to find out what stranger I cross paths with this time,” she says. Depending on your situation, it’s possible to see your empty apartment as an opportunity to help out people in your network. The advantage of such an arrangement is that you can negotiate particular needs you may not feel comfortable discussing with strangers, such as looking after your pet or watering the garden as part of the deal. Every situation will differ, but if you can afford it, why not consider dropping the price and leaving your home in the hands of friends who need it? You’ll have a more relaxing holiday, secure in the knowledge your space is being enjoyed by people you care about – and whom you can trust to respect it. The cliche goes that we live in a global village and the internet goes some way to making this true. But we also live in local communities where people are struggling to find decent housing. Becoming a homeowner can all too often be the moment we surrender our better selves and join the dark side of greedy landlords.